Berry Dakara: REVIEW - R.S.V.P. Our reservation was meant for 12 noon, but life happened and we eventually got there around 1:30 or so. We were greeted politely and sat promptly by the window. It was a little hot, so they brought the shades down a bit at Cakes' request. Our waiter then brought along what seemed like a bunch of menus - regular menu, brunch menu, specials menu, drinks menu... I was confused for a bit, honestly. After going back and forth, we ordered our drinks - Chapman (as always for me) and a Hennessy and Pepsi (I don't know if Coke wasn't available) for the hubster. Unfortunately, my Chapman was not sweet enough, so I had to send it back for them to make it sweeter. It came back better but not quite as sweet as I'm used to. Ah well. 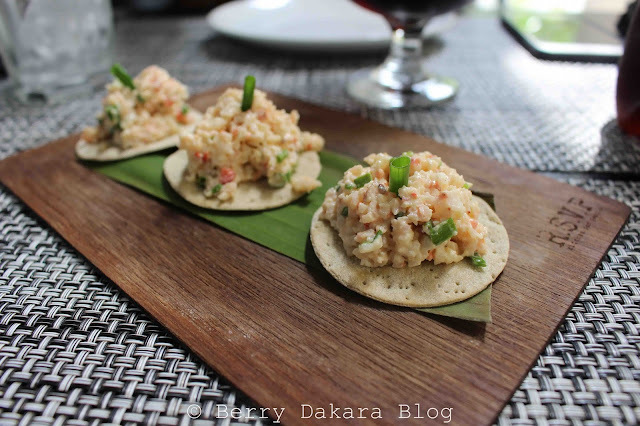 For starters, I selected the Prawn Machos. 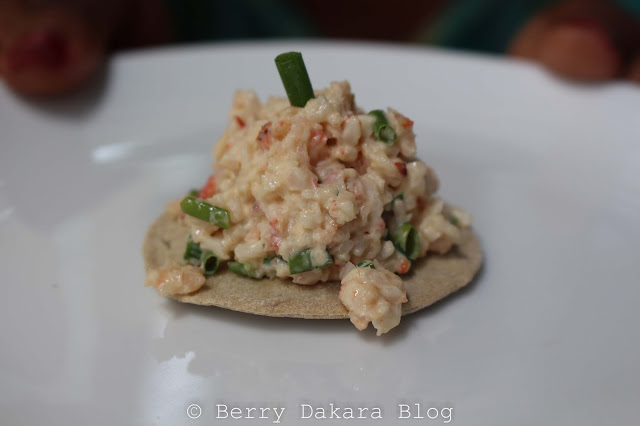 It was basically a prawns mix atop a plantain cracker. There are other topping options. This cost N2500, even though it was just 3 of them. 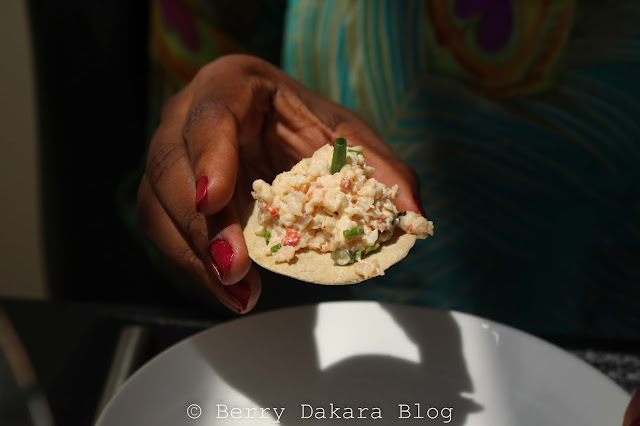 I overlooked the price because I really just wanted to taste it - I love seafood and I love plantain, so it seemed like the perfect combination. I wonder how they make the cracker thingy. It wasn't sweet like ripe plantain is. 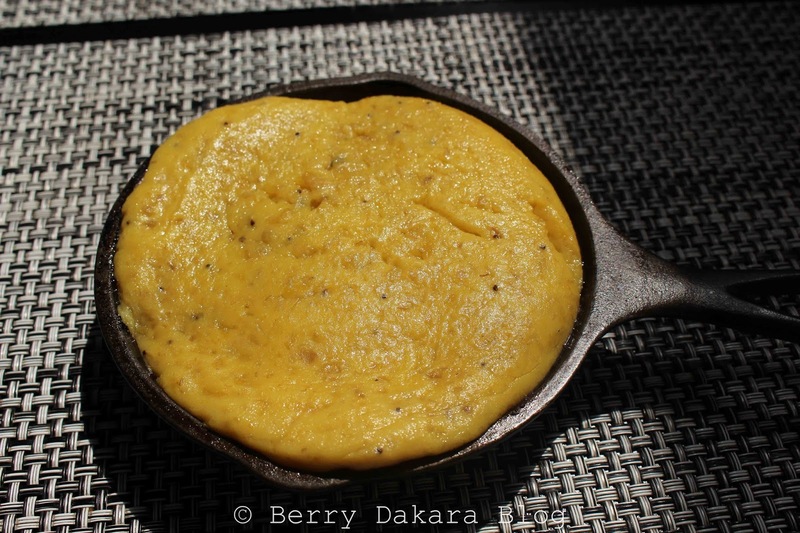 Maybe they make it from plantain flour. I can tell you this much - it was my favorite part of the meal! Although I wish there was more bang for my buck (like 5 or 6 pieces instead of 3), I didn't regret this buy. Cakes wasn't too fond of it because there was a little kick and he doesn't like spicy food. For our entrees, Cakes got the Steak Sandwich with Fries, and I got the Brunch Burger with Fries - and a side of Plantain Mash (because, again, I like plantain). Cakes seemed to like his sandwich. He wasn't wowed, but he liked it enough. 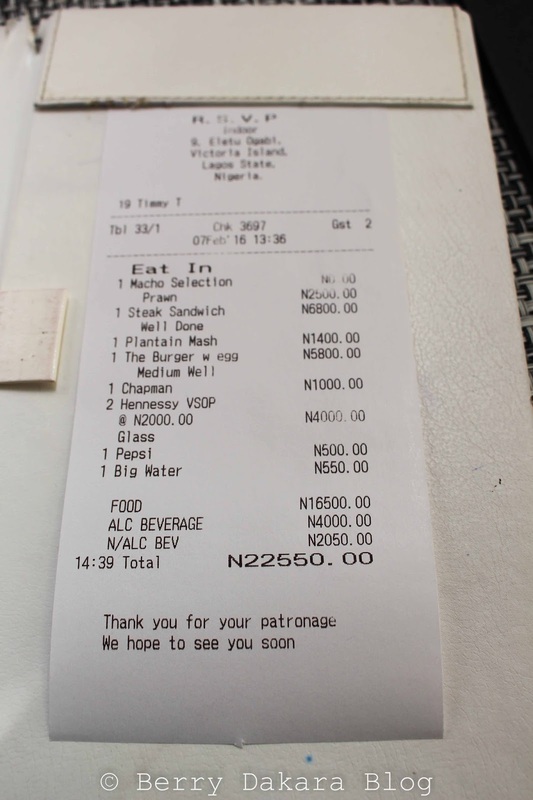 The steak sandwich cost N6800. 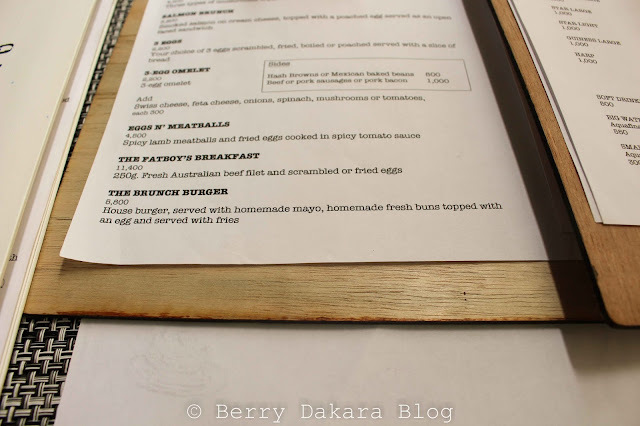 When my Brunch Burger came, I had to send it back to the kitchen for 2 reasons - I had asked for scrambled eggs and got a sunny side egg instead (I don't like eggs that aren't well beaten); and it also had cheese in it. I didn't know that it came with cheese - it didn't say so on the menu. However, looking back, it said it was a House Burger with eggs and other mede-mede. So maybe the House Burger has cheese in it. 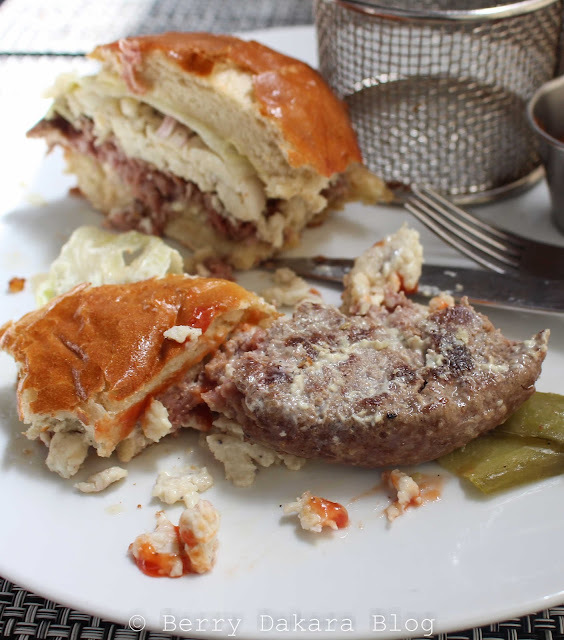 I got my burger medium-rare and it was quite flimsy. It broke apart so much, I had to use a fork and knife to eat it. Then again, this isn't the first time I've eaten a burger with a fork and knife, so no biggie. I thought the burger was okay. 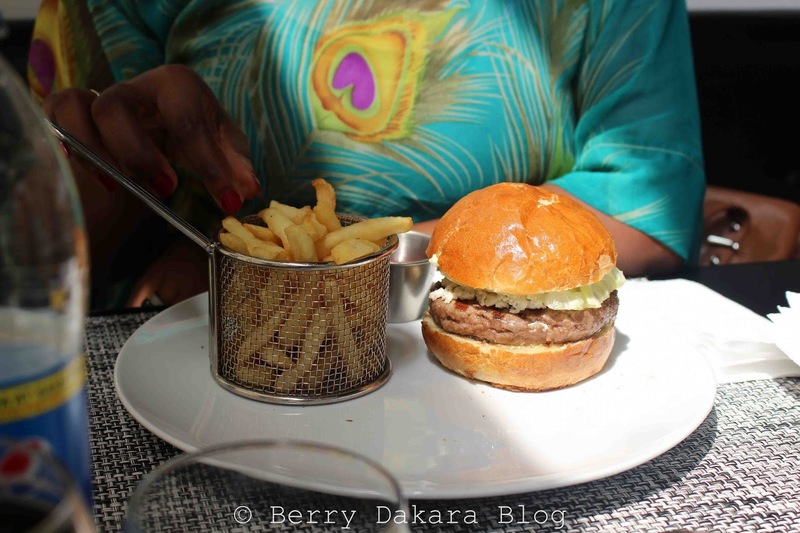 My friends absolutely love their burgers and think they're the best in Lagos. I think they're okay. The last time I was here, I had to use ketchup to enjoy it better, and it was the same thing this time. Loved the fries though. This item cost N5800 also. My side of Plantain Mash cost N1400, and I took a few bites but it was too creamy for me, so I didn't finish it. We were both very full after eating. Cakes actually ate only half of his sandwich and took the rest of it home. Our bill came up to N22,500.00. 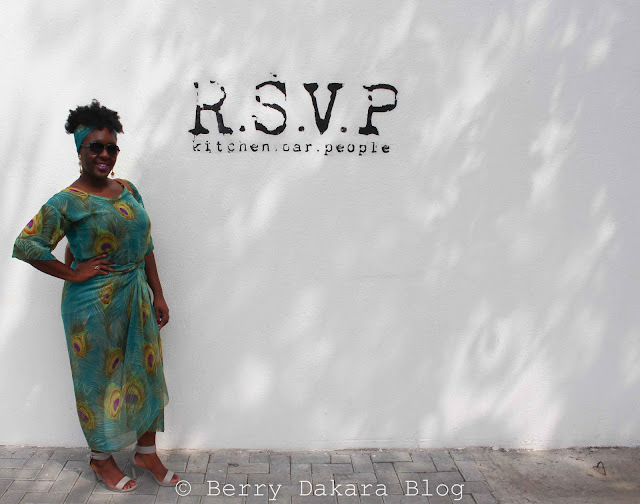 So Ofadaa.com's rating of RSVP at approximately N20,000 for 2 people is about right. Overall, we had a nice time. 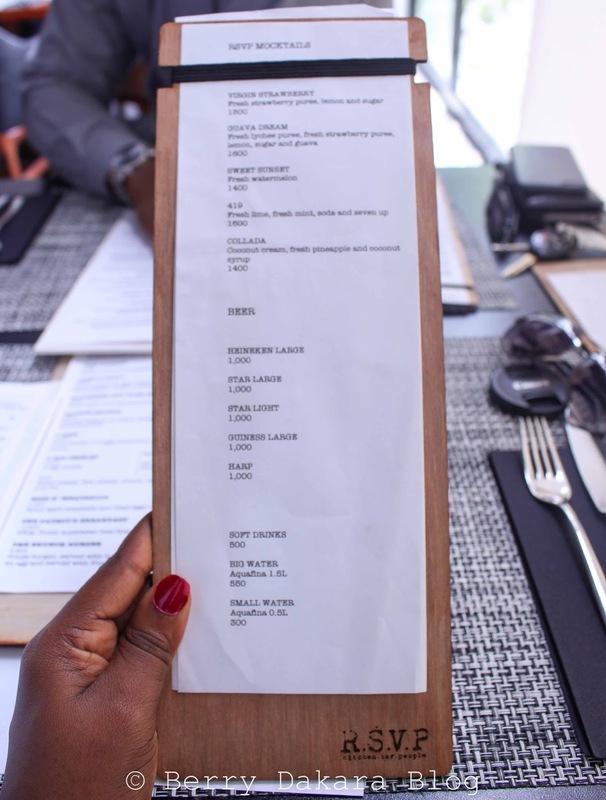 The ambiance is one of the best you'll find in Lagos. The waiters and service is very on point! It's a very very nice spot for a date. 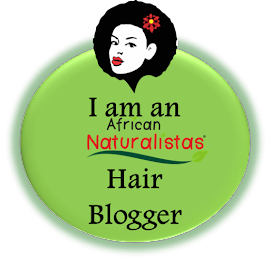 It is on the pricier side, so hold your money plus extra. There's also a pool side in the back of the building, but it's open only in the evenings, so we couldn't check it out unfortunately. 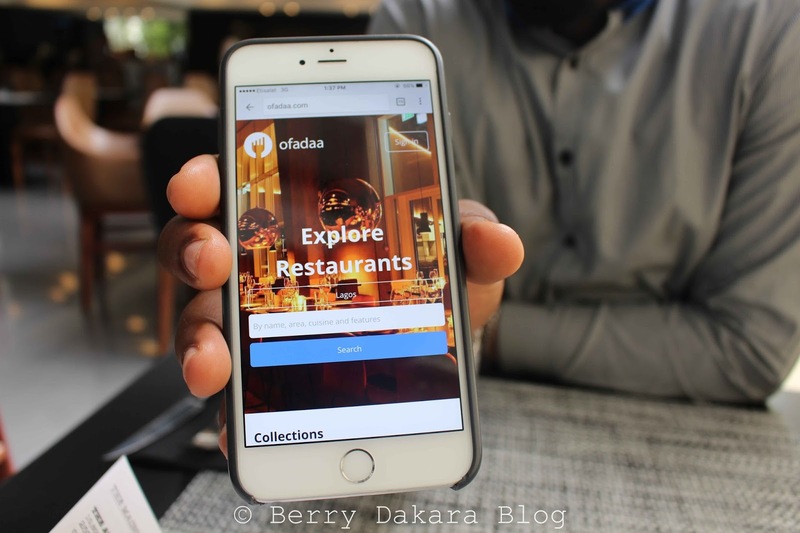 Don't forget to use Ofadaa.com to check for the perfect venue for your upcoming Valentine's Day date - and other celebrations, or just because it's Tuesday. That's an interesting review, and the food looks great! So I haven't been to RSVP since January last year. I like the fact that they have more menus as I felt the choices were limited last time I went. Love the last picture! The prawn machos look interesting, kinda pricey though. Might need to visit them again. 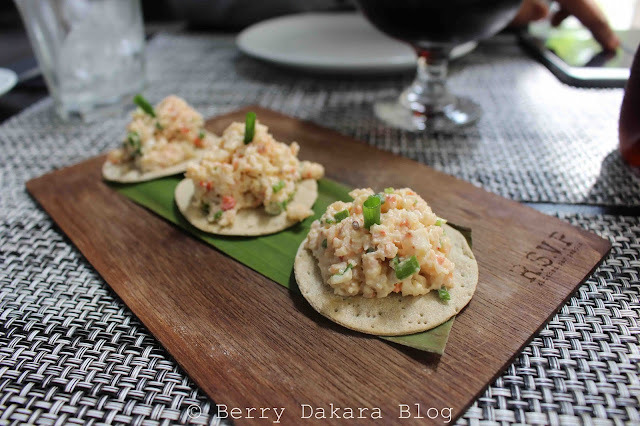 The prawn machos, while pricey are worth it in my opinion. Of course, not every day but once in a while. You should definitely go back when you can. Good review I understand what you mean about cheese and the mash being creamy I do not like eating food with dairy in it. Ah! 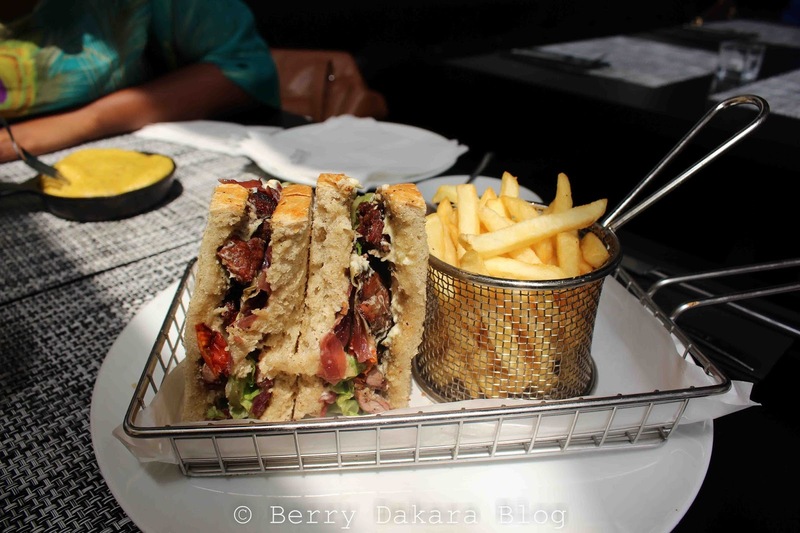 The food looks absolutely scrumptious, but nearly N7,000 (~ Seven Thousand Naira) for a medium sized sandwich is rather pricey. 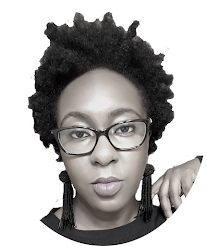 Though I like being thrifty, I am still realistic enough to understand that prices depend on the business location and overhead costs. 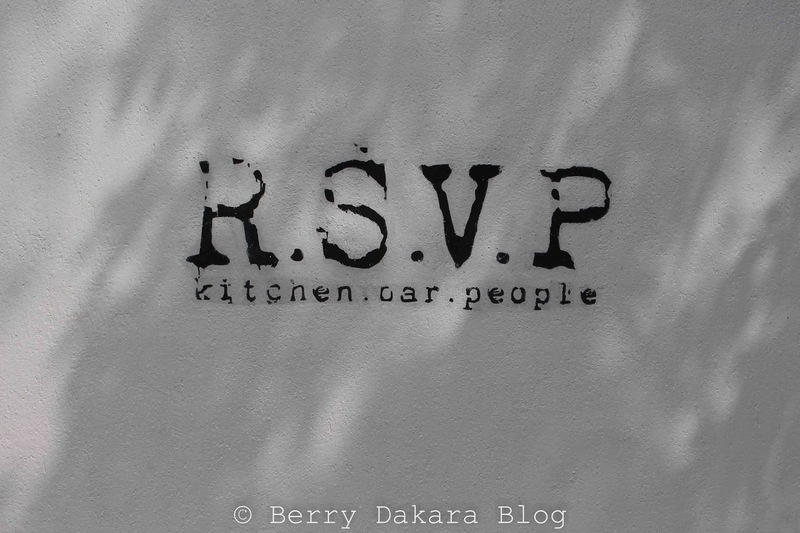 RSVP definitely has one of the best service I've received in Nigeria... food is decent in my opinion. Lol. The service was good. Quite pricey to me. 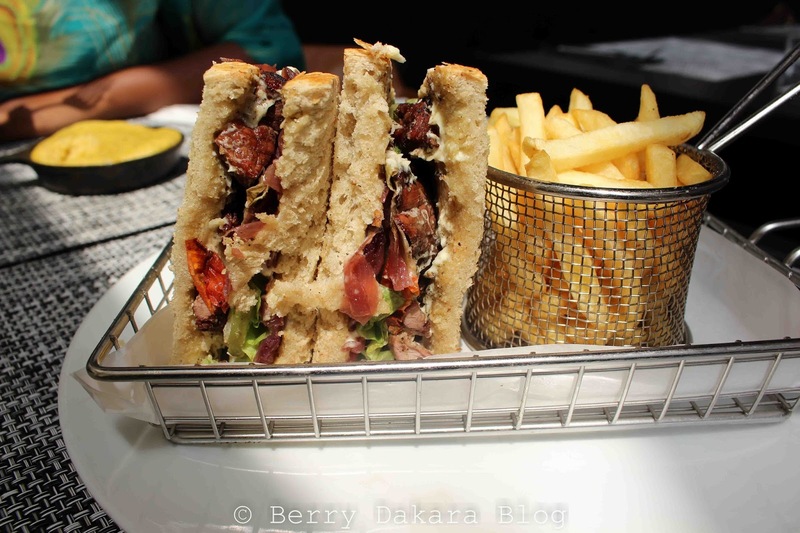 Sandwich for 6k plus, naa. I don't like burgers that break up. RSVP - No thanks. 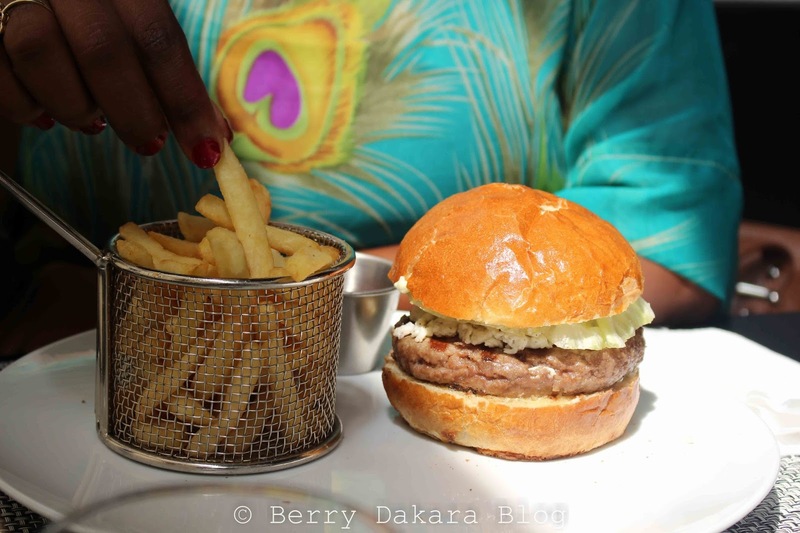 Oooh, you can try BBQ Cravings - their burgers are great and the meals are around N2500. I've been to RSVP once. It was a friend's birthday dinner, and a mini-buffet was set out for us. Little minis of everything. 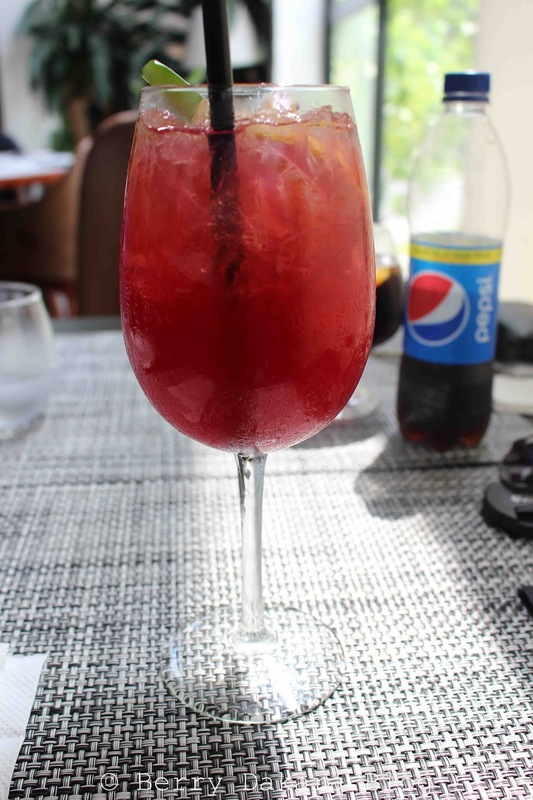 I did not like my cocktail, and the food was okay, but not great. The one thing I quite liked was similar to your Prawn Macho- except it was made of something else. Really loved that. And as a fellow plantain lover, I'd like to try some plantain mash. Creamy everything is fine by me!